Script used in the CUUC Animal Blessing service. Substantially adapted from Margaret Wild, Going Home. NARRATOR: Toby had to go to the hospital. TOBY: [To Mom] Mom, how long will I have to stay here? MOM: A few days, honey. Maybe a few more. We don’t know for sure. They’re going to help you get better. TOBY: And then I can come home? MOM: And then you can come home. NARRATOR: Toby was on a ward with other children. Toby arrived just as another kid, Beatrice was leaving to go home. TOBY: I wish I was. BEATRICE: You just got here. TOBY: Already I miss my home. BEATRICE: Hey. Did you bring slippers? TOBY: No. I didn’t know I’d need my slippers. BEATRICE: That’s all right. Here, take these. I think you’re going to need them. MARU: [Without taking her eyes off her phone]: Hi. I’m Maru. BORIS: [playing with a deck of cards on his bed]: I’m Boris. TOBY: [Hugging Mom] I’ll miss you, Mom! MOM: You’ll be OK, Toby. I’ll come visit you every day. TOBY: Can you bring Schrodinger? MOM: No, mijo. No cats allowed at the hospital. TOBY: Can you bring Darwin? MOM: No dogs allowed either. Bye now, Toby. I’ll see you tomorrow. TOBY: I wish I were home. NARRATOR: That night, Toby woke up. He thought he’d just go peek down the hall and see what was going on in the middle of the night at the hospital. He put on a slipper, and heard an elephant shriek. [Elephant trumpeting sound] Toby looked around, but the loud noise didn’t seem to have disturbed anyone. The elephant shrieked again. 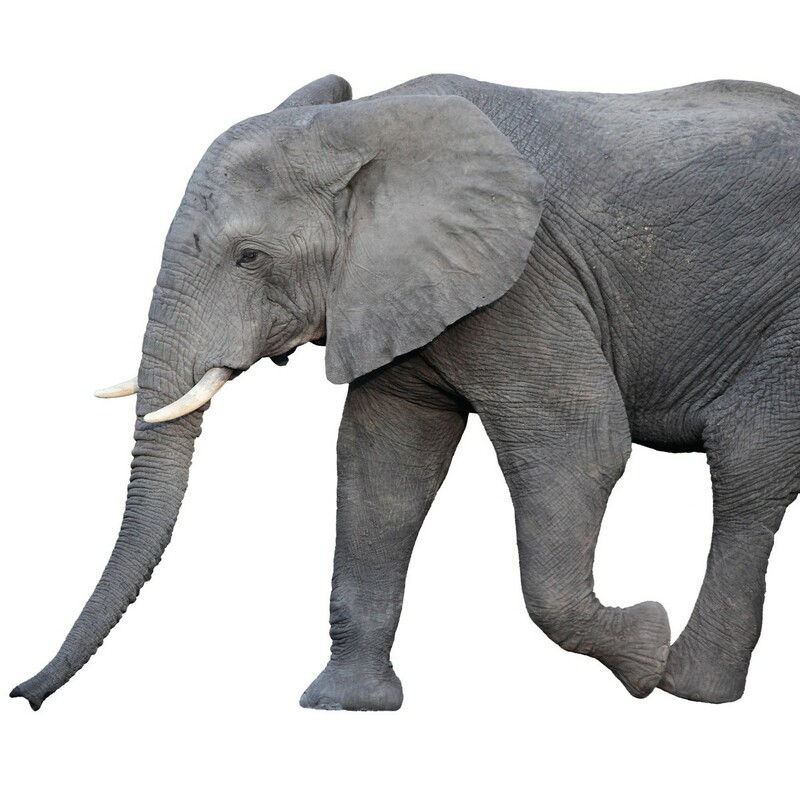 ELEPHANT: [from offstage] Come, come home with me. NARRATOR: Toby put on the other slipper, and the hospital room melted away. He was standing beside an elephant on a wide grassland. In the distance, he could see lions playing rough-and-tumble games. He saw wildebeests migrating across the plains. ELEPHANT: This is Africa. My home. Thank you for coming home with me. TOBY: [thoughtfully] Do you like it here? ELEPHANT: Everybody likes their home. TOBY: What do you do here? ELEPHANT: I walk a lot. I love to cover many miles every day. I love the grass and the water holes. I love my baby elephants. ELEPHANT: I worry about tusk hunters though. They kill elephants so they can cut off our tusks and sell them. TOBY: Oh, no. I’m so sorry! ELEPHANT: [nodding thoughtfully] Every being wants to live in peace in their home. NARRATOR: Toby stayed with the Elephant and learned more about her home. After a while, he took off one slipper, and was back in the hospital room. The next day, Toby’s Mom and little sister visited. MOM: What have you been up to? TOBY: Quite a lot. I went to Africa. CATHY: It’s not fair! I only went to kindergarten. MOM: Yes, Cathy, and after kindergarten where did you go? TOBY: I’d like to go home. NARRATOR: Late at night the second night, Toby woke again. 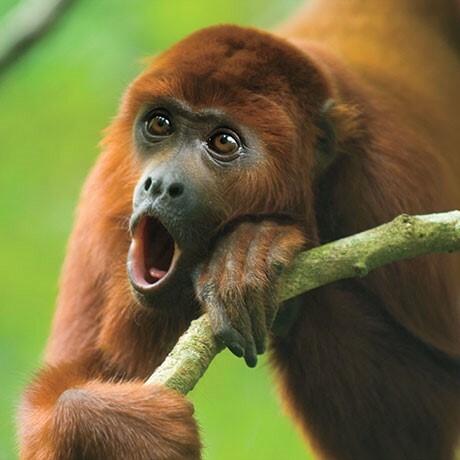 He put on a slipper and heard a howler monkey roaring. MONKEY: [from offstage] Come, come home with me. NARRATOR: When Toby got the second slipper on, he was there. He and the howler monkey swung through the jungle treetops. He saw sloths sleeping upside down. He saw an emerald tree boa hiding in the leaves. He saw toucans gobbling berries. MONKEY: This is the Amazon jungle of South America. My home. Thank you for coming home with me. MONKEY: Everybody likes their home. MONKEY: I howl a lot. I love the seeds and fruits of the jungle trees. I love jumping from tree to tree. I like playing with the other monkeys. I love my tail: I can hang from it anywhere and even pick things up with it. MONKEY: I worry about deforestation though. The beautiful forest that is my home is being cut down. MONKEY: [nodding thoughtfully] Every being wants to live in peace in their home. NARRATOR: Toby stayed a while and talked and climbed and swung with the Howler Monkey. When it was time to go, Toby took off one slipper, and was back in the hospital room. MOM: Where did you go this time? TOBY: Quite far. I went to the Amazon jungle. CATHY: It’s not fair. I only went to the corner shop. MOM: But then you came home. SNOW LEOPARD: [from offstage] Come, come home with me. He ran beside the snow leopard. Together they hurtled through snow and ice high in the mountains. He saw a yellow-billed blue magpie. He saw a flock of Demoiselle cranes flying overhead. 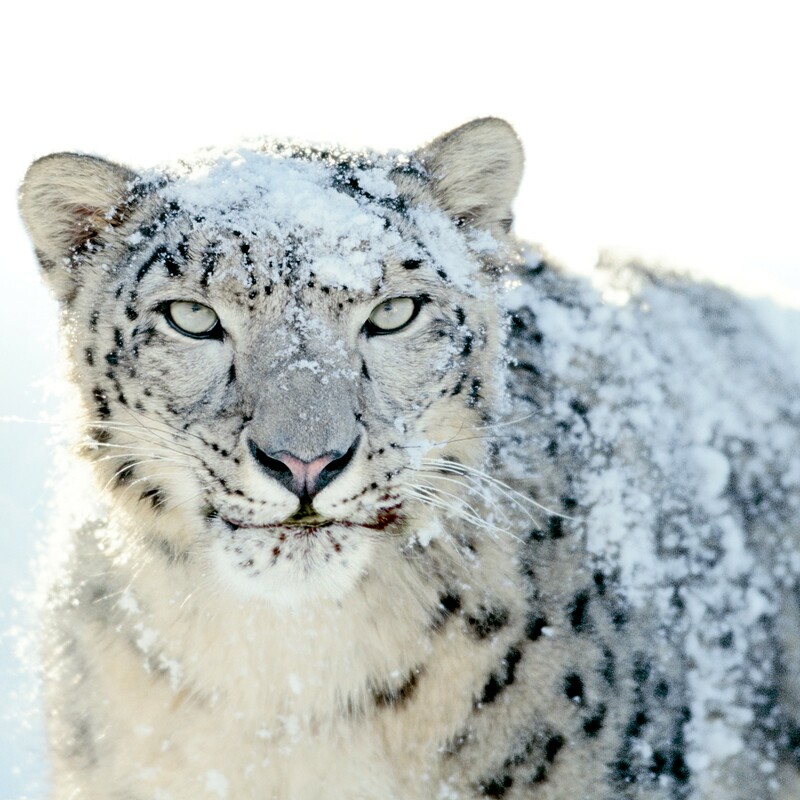 SNOW LEOPARD: This is the Himalayan Mountains of Central Asia. My home. Thank you for coming home with me. SNOW LEOPARD: Everybody likes their home. SNOW LEOPARD: I hunt and have a family. I love the wind. The wind in my ears helps me get of mites. The wind brings me the smell of food. I love the feel of the wind in my whiskers. TOBY: What a great life! SNOW LEOPARD: Sometimes there are droughts. The changing climate is hard on me. When there’s a drought, the animals I hunt have to go down the mountains looking for water, and I have to go down, too. I don’t like the lowland so much. My home is in the mountains. 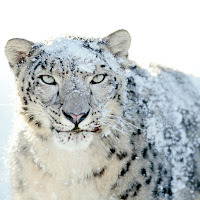 SNOW LEOPARD: [nodding thoughtfully] Every being wants to live in peace in their home. NARRATOR: Toby stayed a while and talked and ran with the Snow Leopard. When it was time to go, Toby took off one slipper, and was back in the hospital room. TOBY: Yes. I went to the Himalayas. MOM: How about going home? The doctor says you can come home today. BORIS: Come back and visit me. MARU: I wish I were going home. TOBY: [Giving Maru the slippers] Here Maru. I want you to have these slippers. TIGER: [from offstage] Come, come home with me. NARRATOR: When Maru got the second slipper on, she was there. She ran with the tiger through the humid jungle. She saw a tapir rooting for grubs. She saw a king cobra rearing up its head, and she ran on by. 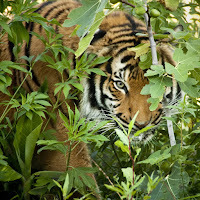 TIGER: This is the Tropical Jungle of India. My home. Thank you for coming home with me. MARU: [thoughtfully] Do you like it here? TIGER: Everybody likes their home. MARU: What do you do here? TIGER: I hunt. I raise my young. I love to hide. When I hide in the undergrowth I feel I am one with the forest. I dissolve into it. I love that. MARU: I wish I were a tiger! TIGER: My kind are endangered. People are always after us. What’s wrong with eating an occasional calf? We are being hunted out of our forest. MARU: Oh, no. I’m so sorry! TIGER: [nodding thoughtfully] Every being wants to live in peace in their home. NARRATOR: Maru stayed a while and played with the Tiger. When it was time to go she took off one slipper, and was back in the hospital room. The next day, Maru was released. MARU: [joyfully] I’m going home! 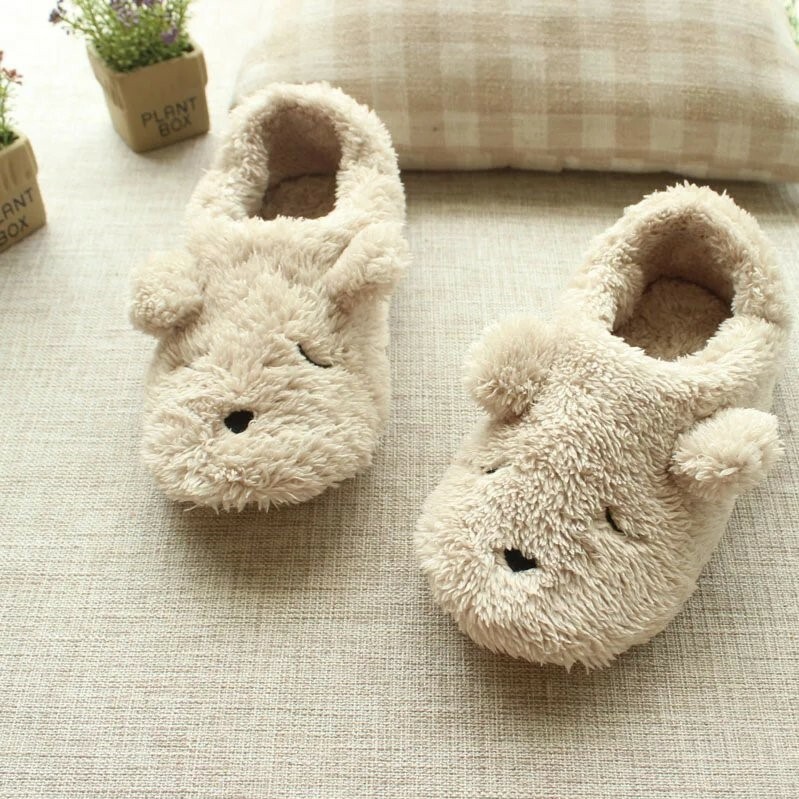 Boris, I’m going to leave you these slippers. I think you’ll like them. PENGUIN: [from offstage] Come, come home with me. NARRATOR: When Boris got the second slipper on, he was there. The air he breathed was very cold, but Boris was covered with a layer of warmth. He walked along beside the penguin. He saw albatross gliding overhead. He saw elephant seals lounging along the shore. PENGUIN: This is Antarctica. Thank you for coming home with me. BORIS: [thoughtfully] Do you like it here? PENGUIN: Everybody likes their home. BORIS: What do you do here? PENGUIN: I swim and fish and sit on my egg until it hatches and then feed my young. I love to swim. The taste of fish and squid is so good. BORIS: It seems very good. 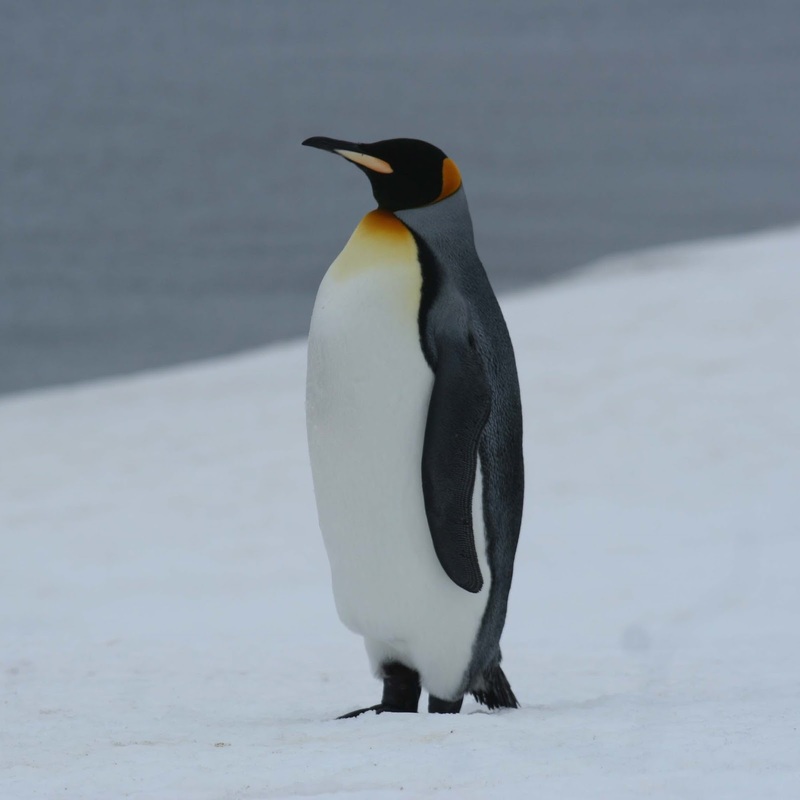 PENGUIN: The warming of the sea surface by even half a degree changes the fish populations, and I can’t get enough food for my chick. Overfishing and oil fouling are also making it hard for me. BORIS: Oh, no. I’m so sorry! PENGUIN: [nodding thoughtfully] Every being wants to live in peace in their home. NARRATOR: Boris stayed a while and played with the Penguin. When it was time to go, he took off one slipper and was back in the hospital room. With the other slipper still on, though, he could still hear sounds from far-away lands. PENGUIN: Home is where the coldwater fish are. 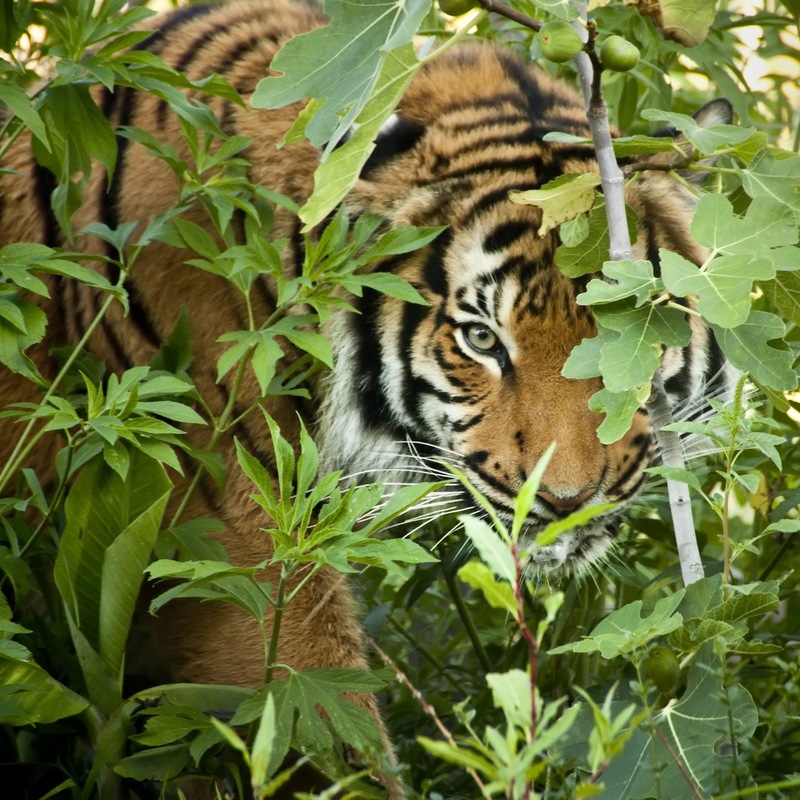 TIGER: Home is where the thick jungle hides me. SNOW LEOPARD: Home is where the wind is. MONKEY: Home is where the trees to climb are. ELEPHANT: Home is where the vast grasslands are. BORIS: My home is me. NARRATOR: Boris was in the hospital for three more days. Using the magic slippers at night he visited giraffes in Africa, wolves in Canada, and even an orca in the ocean. When the doctor finally told Boris he was better and could go home, Boris, like Maru and Toby, had learned a lot about other animals' homes. In a funny way, he understood his own home better: his place in the family of all beings.